Courtesy the City of Brampton's Facebook page. The city of Brampton is dedicated to making innovation and technology central to its economy – and has the municipal government department to prove it. City of Brampton innovation and tech sector lead Devin Ramphal believes his hometown could someday rival Silicon Valley – and is dedicated to helping it reach that goal. 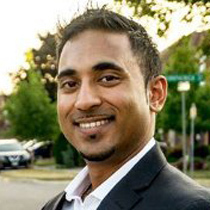 A mechanical engineer by training, veteran of Brampton’s automotive and manufacturing industries, including stints with Honda, General Motors, and Velcro (whose Canadian headquarters is based in the city), and founder of consulting startup Dram Innovations, Ramphal is the perfect tech industry poster child for the city, which likes to position itself as the second-largest innovation and communication cluster in North America and promote its central location in the innovation hub known as the Toronto-Waterloo corridor. The city’s recent bid, developed in collaboration with neighbouring Mississauga and Toronto, for Amazon’s second global headquarters, provides a snapshot of what Ramphal believes makes Brampton a great location for tech companies such as the online retail giant. The City of Brampton’s proposed site for Amazon’s second headquarters, courtesy the City of Brampton (click for larger version). 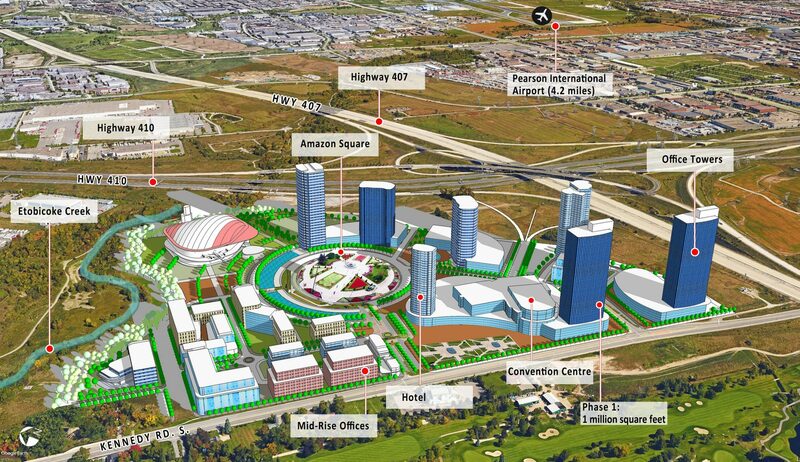 In their portion of the bid, Brampton’s leaders provided five reasons their city was an ideal location for Amazon in particular: a high-quality talent pipeline that receives approximately 14,000 new residents per year; an “exceptional” proposed site 15 minutes from Toronto’s Pearson International Airport; what they called Canada’s “fastest-growing” transit system; its youth and diversity, with a population spanning 209 cultures and an average age of 36.5 years; and amenities including more than 200 restaurants, 25 grocery stores, eight recreation centres, two libraries, and more than 3,000 businesses within five kilometres of their proposed site. The bid, which Ramphal contributed to and admits absorbed much of his team’s September and October, is also emblematic of the sort of research and foundational projects that have dominated his young department’s time throughout the past year. “Our goal is to develop the city through innovation and technology, whether that means bringing more technology companies into the city, or making the city itself a more innovative place,” he says. It’s worth noting that innovation and technology one of four sectors that Brampton’s economic development department is focusing on, with advanced manufacturing, health and life sciences, and food and beverage, also recently receiving their own department and sector lead. And while the concepts of innovation and technology themselves are related, Ramphal says, his team treats them as separate goals. Another goal for Ramphal department has been reaching out to the tech companies which already call Brampton home and collaborating with them on expanding their operations or contributing to the city’s efforts to attract new companies to the region. Ramphal notes that while his department’s goals might be relatively new, Brampton itself – as illustrated by its Amazon bid – is already in an excellent position to begin pursuing them.